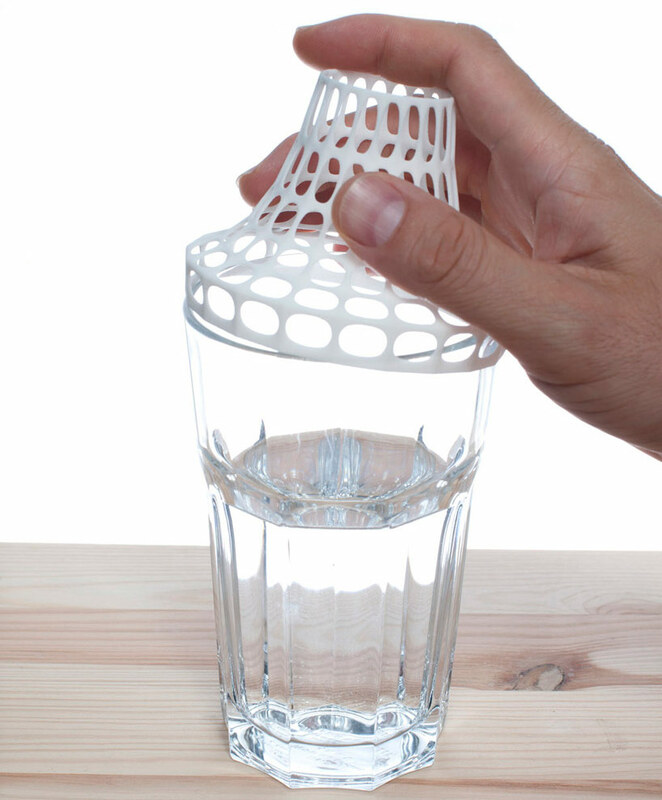 All you need is a 3D printer and a water glass. Love how you can customize any old or new drinking glass and give it a second or a secret life. With all the holes in the lid you could almost do some kind of ikebana. This entry was posted in Accessories, Design and tagged 3d printed objects, 3d vase, vase by nuitdepluie. Bookmark the permalink.